Our Website: By clicking "Need Help"
2. 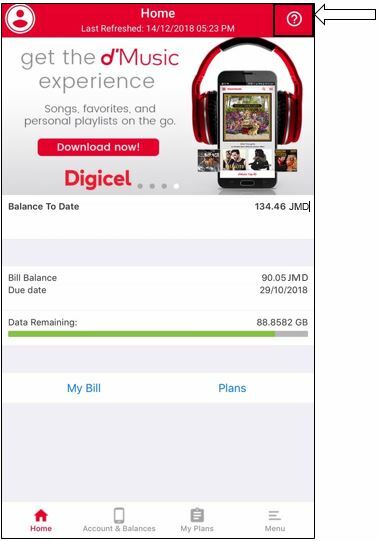 The My Digicel App: Select the Question Mark at the bottom right hand side of the screen (Android devices) or to the top right hand side of the screen (Apple devices). Don't forget to rate us so we can serve you better!